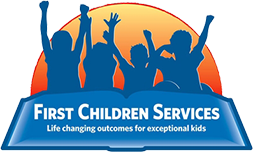 First Children Services hires teacher assistants to work in First Children School and in A Special Place Child Care Center in Fanwood as well as in regional day schools throughout New Jersey. Teamwork, ability to get along with others, good communication, showing initiative, ability to work independently and patience are all important skills to be successful in all teacher assistant positions. First Children School teacher assistants are hired to work with students with disabilities. Teacher assistants perform routine duties in caring for children in the classroom including maintaining a safe, clean physical environment and participating in the program of education and therapy under the supervision of the teacher. Teacher assistants provides support in managing behaviors, assisting with food prep and feeding, toileting/diapering, arts/crafts, and all educational activities. High school diploma required. College credits or degree in Special Education preferred. Previous experience working with children in a classroom setting is required. Patience and the ability to work with children who have multiple disabilities. Ability to lift/move up to 50 lbs. A Special Place Child Care teacher assistants are hired to work with both typically developing children and children with mild to moderate special needs in an inclusive childcare setting. Child Care teacher assistants perform routine duties in caring for children in all classrooms, maintain a safe, clean physical environment, and engage children in age-appropriate activities in a supportive and caring manner. Previous experience in a child care center setting required. Knowledge of child care center regulations and requirements. Ability to communicate effectively with parents, children, and fellow staff members. High school diploma required, Early Childhood Education background strongly preferred. First Children Services hires one to one teacher assistants needed for statewide regional day schools to work with elementary-high school age students. Teamwork, ability to get along with others, good communication, showing initiative, ability to work independently and patience are all important skills to be successful in this position. First Children Services employs teacher assistants for before and after school programs for grades 3-8 in Mt. Holly, Pine Hill, and Paulsboro schools.